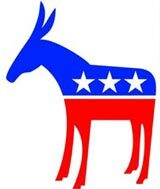 The Democratic donkey was first associated with Democrat Andrew Jackson’s 1828 presidential campaign. His opponents called him a jackass (a donkey), and Jackson decided to use the image of the strong-willed animal on his campaign posters. Later, cartoonist Thomas Nast used the Democratic donkey in newspaper cartoons and made the symbol famous. Further Nast coined the Republican elephant, first shown in a cartoon that appeared in Harper’s Weekly in 1874. Nast drew a donkey clothed in lion’s skin, scaring away all the animals at the zoo. One of those animals, the elephant, was labeled “The Republican Vote.” It quickly became a recognized and then official symbol of the Republican party. The 27 books of the New Testament, as known, constitute the fundamental holy scripture of Christianity. Without the four Gospels according to Matthew, to Mark, to Luke and to John, Christianity is virtually null and void. Recent epoch-making discoveries of old Sanskrit manuscripts in Central Asia and Kashmir provide decisive proof that the four Greek Gospels have been translated directly from the Sanskrit. A careful comparison, word by word, sentence by sentence shows that the Christian Gospels are Pirate-copies of the Buddhist Gospels. God’s word, therefore, is originally Buddha’s word. Comparison reveals that there is no person, no event, no locality mentioned in the four Christian Gospels not already present in the Buddhist Gospels that, for sure, are far earlier in time than their Christian copies. The Miners came in ’49 the whores in ’51 and when they got together they made the native son. here is more treasure in books than in all the pirate’s loot on Treasure Island.